Sharon Kernot’s YA verse novel The Art of Taxidermy was shortlisted for the 2017 Text Prize and published by Text in July 2018. It’s a beautiful, deeply moving story of grief, loss, love and family, and easily one of my favourite #LoveOzYA reads of 2018. Sharon was kind enough to answer a few questions about the book in what will be the first in a new series of Q&As with fellow #LoveOzYA authors here on Lectito. Sharon, thank you so much for letting me pick your brain! Where did the idea come from for The Art of Taxidermy? The idea came from a conversation I had with a student when I was tutoring at Uni. It was on day one of the tutorials and we were all introducing ourselves when this young student mentioned that she was interested in taxidermy. It seemed an unusual activity for a young person to have an interest in. And I was surprised and also a little horrified when she revealed that she also caught small prey herself that she would later use to taxidermy. I found it macabre but fascinating, and decided to write a short story based on a young character who became interested in taxidermy; although, my protagonist, Lottie, would never kill an animal for her art. The Art of Taxidermy is a verse novel. How did you decide that this was the right form for the story, and do you find any particular challenges or advantages as a writer working in this form? The Art of Taxidermy is my first verse novel, but I’d wanted to write one for some time. My previous novel, Underground Road, has elements of poetry in there – the sections from one particular character’s perspective was written in prose, then changed to poetry, and finally changed to a sort of prose-poetry. At one stage, I even decided to rewrite the whole novel as verse, but after reworking about a third of it, I decided to leave it as it was because it worked better in prose. As mentioned above, The Art of Taxidermy began as a short story but when I decided to explore Lottie’s story further I changed it into verse and it seemed to work well. It felt right. The subject matter, taxidermy, which is a little dark and strange, seemed to be the perfect fit. I’m a big fan of the late Dorothy Porter’s verse novels, many of them are dark and gritty and I just felt that my novel would work well in this genre. Also, I’ve been writing poetry, short stories, and novels for many years. My poetry is often prosy and in the form of a narrative, and my prose is succinct and pared back, and so it felt natural for me to write a novel in verse. Creating a verse novel can be challenging because it requires all the regular techniques of writing a novel in prose – character development, narrative drive, setting, plot, etc. and on top of that it has to have the compression and rhythm of poetry. It’s quite a balancing act. For the aspiring writers out there, can you share a little about the process of writing the book and its journey to publication? Once I had the character Lottie, it was really about following her story. The more I wrote, the more I learned about her, her history, and her family. I don’t generally plan. I just start writing and see where it goes and this is how I approached this project too. Although in this case, I also found myself writing individual poems for the novel that were inspired by birds or landscape. I tend to do a lot of ‘writing’ when I’m out walking. I like to go for long walks each day and on those walks I think about my characters and their stories and connect them with the setting and landscape, people, birds and animals that I see. Sometimes I record lines of poetry on my phone as I walk, but mostly I just write them down when I’m next at my computer or near a notebook. Once I had a complete draft of The Art of Taxidermy I sent it to Danielle Binks from Jacinta Di Mase Management and she suggested I enter the manuscript in the Text Prize, which I did. I was absolutely delighted when it was shortlisted, and ecstatic when Text offered to publish it. The story is about a German family living in post-WWII South Australia, and one thread of the narrative details how members of the family were imprisoned in the Loveday Internment Camp during the war. This is part of South Australia’s history that we don’t often hear about. Can you talk about the importance of sharing this kind of story? No, we don’t hear much about this, but it is an interesting and tragic part of our history. We have such a large German population in South Australia and have had for many years. It must have been very difficult for them during WWI and WWII when they were considered enemies in their new homeland. The names of German towns were anglicised, and some still haven’t reverted back to their original German names. Men, women and children who had been living in, and contributing to the community were suddenly considered ‘enemies’ or a threat and were interned in camps around Australia. In WWI there was an internment camp on Torrens Island and in WWII there was the Loveday camp out near Barmera. There’s a wonderful Information Centre in Barmera that’s well worth a visit. The family in The Art of Taxidermy have experienced great loss and adversity and the story is heavy with grief, but it’s also full of strength and love and resilience. Can you tell us a bit about some of the family members we meet in the story and their relationships with each other? Lottie lives with her father, Wolfgang. Her Aunt Hilda, who lives close by, spends a lot of time at the house looking after Lottie because Lottie’s mother has passed away. Lottie also stays with her Oma at the family farm during the school holidays. The novel takes place at a time when WWII is still very fresh in people’s minds. Lottie’s family like many others around that time have lost people close to them. It’s a time when people didn’t talk to children about death and dying. This is confusing for Lottie and she’s left to deal with her emotions in the best way she can. Her love of taxidermy and her interest in dead animals is her way of trying to deal with her grief. Lottie’s father is kind and thoughtful, but he’s busy with work as well as being distracted with his own grief. Aunt Hilda is stern but is trying to bring Lottie up as best as she can. In a way that she believes is right. She has no children of her own, she lost her husband in the war, and she takes her responsibility to family very seriously. She has a pragmatic approach to grief and believes that people should just get on with things, but neither Lottie nor her father are able to do this and Aunt Hilda tries to ‘help’. One of the things I love about The Art of Taxidermy is that your protagonist, Lottie, doesn’t fit the image of what a young girl was (and still is) expected to be—much to her Aunt Hilda’s dismay. Where did this character come from and do you think it’s important for characters in fiction to challenge the status quo? Yes, I do think it’s important to portray young girls and women in non-traditional roles. When I first left school I worked in a male-dominated non-traditional role in the printing industry, which was initially met with a great deal of opposition from the male staff. Some of the men were worried that women would take their jobs, others believed women couldn’t do the work. It was very satisfying to show that I could not only do the work, but I could do it well. Back then I would never have thought that women would still have to challenge these types of beliefs and opinions, but we do. And providing role models in fiction, I think, is an effective way to do that. One of Lottie’s few friends is an indigenous boy named Jeffrey, who, like Lottie, is an outsider at their school. Can you share a bit about his role in the story? Yes, both Lottie and Jeffrey are outsiders. Jeffery is the only aboriginal boy at school and Lottie has German heritage at a time when the consequences of WWII and Hitler’s Germany was still very fresh in people’s minds. Lottie is also an outsider because her interests are considered weird and different from the other children. Jeffrey is more tolerant of Lottie’s interest – although he doesn’t fully understand, he does have a strong connection to the landscape and animals and this is something they have in common. As well as being outsiders, Lottie and Jeffrey share a connection through loss and longing. Jeffrey, being from the Stolen Generation, has been forcibly removed from his family, and Lottie has lost her mother and sister. Their stories of loss are very different, but the characters have an intuitive understanding of each other. Lottie doesn’t really know why Jeffrey is living with a white family and she doesn’t know what happened to him or his family but she is instantly attracted to his loneliness, sadness, and stoicism. As the title suggests, taxidermy plays an important role in the narrative and you go into quite a bit of technical detail. Is taxidermy something you have experience with, or what kind of research did you undertake to learn about it? No, I have no experience with taxidermy. I’m really squeamish and would make a terrible taxidermist. For research I read a lot of articles about taxidermy, and I viewed taxidermy demonstrations. I visited the SA museum many times and viewed their taxidermy animals. I also went to art exhibitions where taxidermy featured. I discovered interesting artists working in the area of taxidermy including Australian artists Julia DeVille and Rod McRae, and UK artist Polly Morgan. As part of my research I also, oddly, started to photograph and collect dead animals and bones. As a consequence, I’m a little less squeamish these days. Are there any books you’d recommend for readers who enjoyed The Art of Taxidermy? Anything by Dorothy Porter. Her verse novels aren’t classified YA, and they’re really not suitable for young readers, but they are superb. My two favourites are The Wild Surmise, and What a Piece of Work closely followed by El Dorado, which is a murder mystery. The Monkey’s Mask is probably her most famous. Lisa Jacobsen’s beautiful, haunting verse novel The Sunlight Zone is excellent. Jeri Kroll’s award-winning YA verse novel Vanishing Point about a young girl suffering with anorexia is highly recommended. And Stephen Herrick has written quite a few wonderful YA verse novels including The Simple Gift, By the River, and Love, Ghosts and Nose Hair. Finally, are you able to share anything about what you’re working on next? I’ve got a couple of projects on the go. I’m working on a collection of linked short stories, which I just received a grant from Arts SA to complete. I also have another YA verse novel that I’m keen to get back into. I can’t say much about it at this stage except that it is has a quirky female protagonist, it’s set in the lower Flinders ranges in South Australia, and will explore some issues relating to Maralinga. A big thank you to Text for sending an ARC of The Art of Taxidermy and again to Sharon for being so generous with her time and responses. If The Art of Taxidermy sounds like your kind of book, take a moment to add it on Goodreads and pick up a copy at your local bookstore or library. 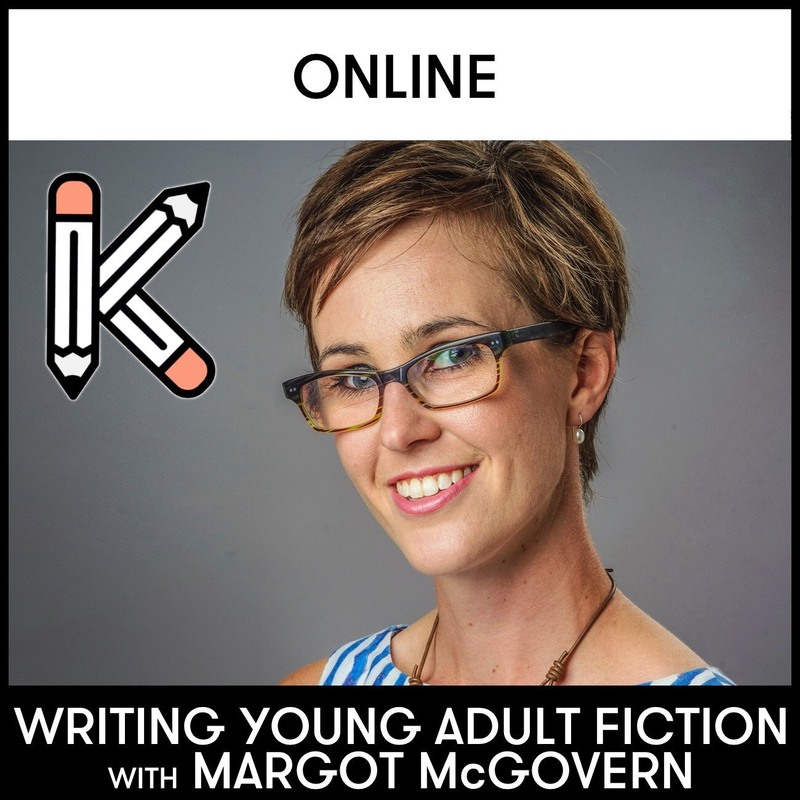 Posted in Author Interviews, For Readers, Writing Tips, YA and tagged Australian YA, author interview, author Q and A, books set in South Australia, historical YA, LoveOzYA, Sharon Kernot, Text Prize, The Art of Taxidermy, verse novel, Young Adult. Bookmark the permalink. Also, a writer who loves taxidermy and write about it a lot is Jenny Lawsen, author of Let’s Pretend This Never Happened and Furiously Happy. Thanks so much for the link with Bill, Melanie! I hadn’t seen his blog before and reckon he has a lot to teach me as I haven’t spent all that much time in the bush (a bit of hiking and the occasional camping trip) or reading bush literature, other than a few key texts we read in high school. Many friends have recommended Furiously Happy. I really need to get to it soon!